CEO and founder, cybersecurity guru, keynote speaker, contrarian thought-provoker, master of wit, tequila enthusiast. Keynote speakers are hit or miss. Until now. “I’ve always believed in this concept of input/output. If you don’t like your output, change the inputs. I built my life on this concept, and I built a company on it as well. Bart's presentation was brilliant and informative. Found it very interesting, and well worth the hour for me. Bart showed us that cyber security training is no longer an elective course for leaders. Cybersecurity is one of the most important, and most neglected, aspects of our daily responsibilities. Technology has overtaken our lives. The pervasiveness of the internet has impacted how we do almost everything—from communicating to banking. 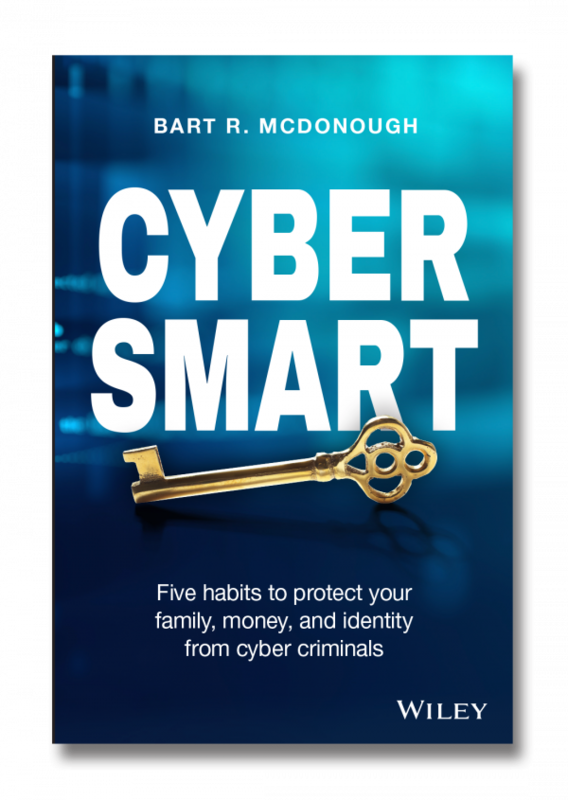 Drawing on his extensive work with hedge funds, private equity firms, celebrities, and hospitals, Bart McDonough accurately and thoroughly describes the cybersecurity threat landscape—the who, what, when, and how—and then guides the reader through how to perform proper “use, care, and feeding” of devices to avoid exposure in many areas of daily life. Just as people must tend themselves to maintain their health, so should they practice proper ‘cyber hygiene’ with websites, software, and devices to protect themselves and their families in a world of threats. He's the guy that makes even the back of the room pay attention. Bart takes topics others avoid, and unravels inherent complexity so everyone in the room understands and feels the importance of creating change. Ready to take credit for booking the #1 speaker at your event?